kashmir « kashmir blogs-Truth about Kashmir-" kashmir blog""
This is the small list of kps murdered by muslim terrorists. and MANY MORE..they we killed in their home in offices on road where ever they wete found.And world was silentThis is the small list of kps murdered by muslim terrorists. and MANY MORE..they we killed in their home in offices on road where ever they were found.And world was silent. Dulari-The Seventy year old Matriarch , was standing in the middle of her Garden. Not a leaf of Grass was left in her frost-bitten-lawn. It was the peak of winter. She gave a cursory look around and strolled slowly , occasionally touching some of the dried up plants . She stopped near the Rose shrub and began to inspect the marigold plant, she has sown last summer just adjacent to it. ‘The marigold plant has dried up completely , so has this The Rose Bush’, She thought gloomily. ‘These winters eat up everything. I really wish the summers come soon.’ She looked upwards to the Post –Noon- Sun . Even though it was a bright shimmering sunny day, Nevertheless, The Sun too seemed to shiver. After inspecting her Garden, she goes inside. It is around 1 Pm and time for Lunch. She washes her hands and sits in her Extended Kitchen- That basically serves as a Dining area for her family. She calls her daughter-in-law Phoolaji. It was the end of the year 1989.The Terrorists had become Blatantly Brazen after the kidnapping of Rubaiyya Syed. The Muslim neighbors too in hushed tones could be heard talking about, soon-to-get ‘Azadi’ . The Blanket curfew in the valley had forced all the family members of Dulari to stay indoors. Her family as well as Kashmiri Pandits neighbors too talked about the prevailing political circumstances that was filled with uncertainty. Yet, No one had imagined that a majority of Kashmiri Pandits will have to flee Kashmir within a month! And then came the night of 19 Jan 1990-That changed forever the history of Kashmiri Pandits! The Kp’s were fleeing Kashmir in hordes. Dulari was no exception. She too left Kashmir as did her neighbors and relatives. Future looks uncertain in Kashmir. Dulari is now surrounded by new neighbors of Pan-India ethnicity in Faridabad . All these years, she has managed to speak her own version of Hindi. She uses a lot of Gesticulations in her conversations with neighbours as Kashmiri words pops up now and then unintentionally from her Mouth. Dulari along with her Family had shifted to Faridabad in late 1995. Her elder Son has bought a House in Faridabad. It is built on a 100 sq yard plot. The front as well as the back yard is cemented . She is Old but still hard working and has lost no love for Gardening. She has secured and fenced a small patch of land may be 100 sq feet bordering the front side of her house. She religiously looks after that small garden. She has also sown with love the famous ‘Haak’ (collard greens) of Kashmiris in that lawn. It is the month of March. She is inspecting her kitchen garden. Not much is there. Just one gaze is enough to tell about the health of her green friends. She opens the make-Shift gate of her garden. She squats near the marigold Plant and touches the flower. ‘Dear, If we would have been in Kashmir, I would have surrounded you with many more flowers and attended you better’. She was silently conveying her feelings to the flower. ‘Soon the marigold will be gone and so will be Haakh’ . These Harsh summers don’t spare anything’. She whispered . ‘Alas ! Kashmir was so beautiful!’ she sighed. She does not have the same vigor, She once had in Kashmir. She feels the heat of the March Sun and slowly walks inside . ‘Hayyeyi Phoolaji Batta shaer’ (serve the lunch) – She orders her. It has been 10 years now since KPs were forced into exile. Future in Kashmir still holds uncertain for them. She and her family are amongst the Lucky ones, who didn’t had to live in the dirty, unhygienic tattered tents of the refugee Camps-where still many of the community members were languishing . Phoolaji-Her Daughter-in-law has become the new Matriarch since Dularis Death 12 years back.They now live in an apartment in Mumbai. After the death of her Mother-in-law; Phoolaji too has developed some love for Gardening. In the balcony of her Flat, she has sown some saplings of Marigold as well as ‘Tulasi’ (Basil). Whenever, she waters or de-weeds the plants, The face of Dulari flashes in front of her mind. By planting and looking after the potted-Plants, she gets a strange sense of satisfaction. It is as if the soul of Dulari is watching her and is bestowing her with blessings. She is standing in her Balcony. The Black clouds are moving fast as if they are on a mission! Needless to say, The infamous monsoons of the Mumbai have already arrived . Now and then the sky is roaring and it seems , it is going to pour too. To save the plants from being flooded by the downpours; Phoolaji shifts the pots to that area of the balcony, where they will be safe and Dry. As soon as she had shifted the pots to a safer Dry place, The rains start. ‘Madamji, please come inside. The lunch is ready.’ Her maid shouts from the Kitchen. She walks slowly towards the Dining area of her Flat and sits on the dining chair. She is served food by her maid. Today her maid has made ‘Haakh’. She is about to eat, when the familiar thought crosses her mind, yet once again. ‘The taste of Haakh was divine at Kashmir ! It would have been much more fun and happiness, had we been living at Kashmir ! But, Alas! Mahadev(God) had different plans. The medley of thoughts and emotions was disturbing somewhere in her Heart and Mind. Soon after, the aroma of the food diverted her mind and brought her to her present at Mumbai. She takes the morsel of rice mixed with Haakh . She can not forget that It has been 29 years and The situation for KPs in the valley has not changed a bit yet. To forget about the past, she switches on the TV , browses the channels to watch her favourite serial. While browsing, her eye catches the fleeting headline in one of the News channels. She stops at that Channel. The focus of the news is Kashmir again. The newsreader announces about the clashes between the protestors and the security forces. She again changes the channel and finally stops at a “Bhakti” (Devotional) channel. Phoolaji is carrying forward the legacy,Customs and rituals left behind by her Late Mother-in-law.She has immortalised ‘Dulari’ by keeping her Photograph at the same pedestal as that of Devis and Devtaas in their small in-house temple.In the mornings and sometimes in the evenings too , incense sticks or Dhoop is gyrated reverentially around her photo too; along with the idols and photos of all major Devis and Devtaas to invoke their blessings! The Show of life Continues ….. In the times bygone, Kashmir excelled in many spheres of art, literature and culture, in which it achieved great heights. The cross cultural-religious strands that stretched between Kashmir and present day Himachal Pradesh successfully withstood the centuries old time-warp and refused to fade-away into oblivion. Apart from the natural brilliance of the landscapes, both the states share a deep rooted faith of the people in the time tested traditions, belief systems and ancient wisdom, which are enshrined in their holy scriptures. They form an integral part of our common heritage. The ancient Sancha scripture of Himachal Pradesh is an illustrious example of the same. It is a combination of Jyotish and Tantric knowledge. Even today, in the present scientific age, this ancient priceless knowledge is quite popular in Shimla, Sirmour and Solan areas of Himachal Pradesh. The ‘Sancha Granth’ is believed to have travelled to Himachal Pradesh from Kashmir hundreds of years back. The present day custodians of this ancient legacy, who are natives of Himachal Pradesh are believed to be the descendants of Kashmiri Panndits. 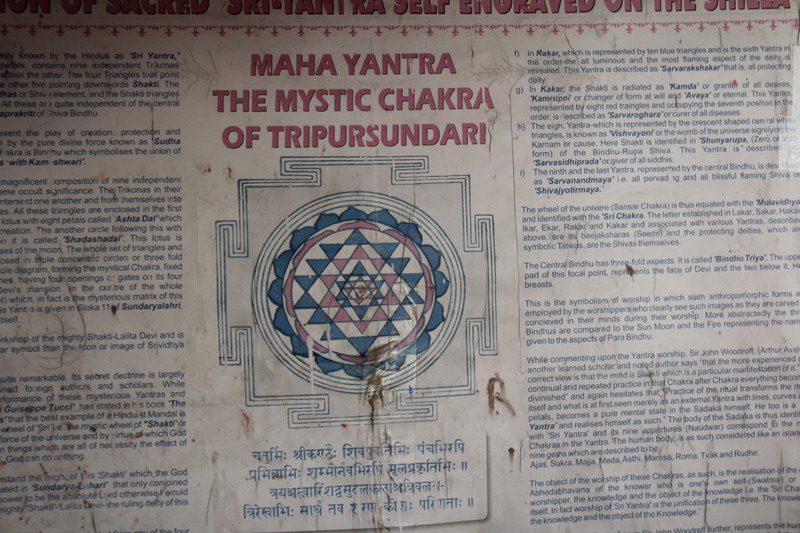 The ‘Sancha’ treatise is a unique combination of ‘Mantra (sacred incantations), ‘Yantra’ (hallowed implements) and ‘Tantra’ (mystical hymns or invocations). The scripts of Sancha treatise are known by the names of ‘Bhatakshri’ or ‘Pabuchi’, which are Himachali variations of ‘Sharda’, the ancient script of Kashmir. In earlier times, the said script was also known as ‘Takri’. In Himachal Pradesh, in addition to ‘Bhatakshri’ and ‘Pabuchi’, the ancient ‘Takri’ dialect has survived in many resembling forms like ‘Chambyali’, ‘Kalluvi’ Mandyali’ and ‘Sirmouri’ etc., which are the present day spoken dialects of Chamba, Kallu, Mandi and Sirmour areas of Himachal Pradesh. In earlier times, the scholarly and learned Himachali Brahmans were known as ‘Pabuch’ due to their demonstrative grip and hold over the ancient ‘Sancha’ knowledge. The ‘Sancha’ growth deals with a wide range of topics ranging from necromancy, black magic, witchcraft, occult effects and negative influences of evil spirits besides demonology. The ‘Sancha’ text offers solutions and remedies to the persons who are troubled by the negative influences of the above. In addition to it, all those persons, who are saddled by anxieties and worries arising out of afflictions by various ailments can find health assuring remedies by consulting ‘Sancha’ system. The ‘Sancha’ treatise also guarantees a triumph over one’s ‘hidden’ enemies by recitation of certain ‘mantras’ i.e. secret incantations. Its help is also sought in adopting a religious recourse to the matters connected with almost all the Hindu Sanskars right from birth to death. In addition to it, ‘Sancha’ knowledge also aids in the recovery of stolen items by giving clues and hints about the identity of the thief, the time of the occurrence of the theft and number of persons involved in the act. An accurate and exact knowledge of the auspicious timing or ‘Hora’ is also possible by consulting ‘Sancha’ text. The word ‘Sancha’ owes it’s origin to the Sanskrit word ‘Sanch’ or ‘Sanchai’, which means a repository or a compilation. The Brahmans well-versed with the ‘Sancha’ knowledge are called ‘Pabuch’ or ‘Baat’. In addition to ‘Pabuchi’ or ‘Bhatakshri’ dialects, the ‘Sancha’ texts are also found in ‘Chandvani’, ‘Pandvani’ and ‘Butakhshri’ dialects. The script employed by the Brahmans of the ‘Panda’ sect is called ‘Pandvani’, while as the inscription used by the Brahmans of the ‘Bhat’ sect is known by the name of ‘Bhatakshri’. According to a legend, an ancient ruler of the erstwhile Sirmour Kingdom came under the spell of a curse by a female dancer. As a consequence, the capital of the ancient kingdom of Sirmour was completely submerged under water and the royalty became kingless. Depressed by the loss of entire royal clan and to ensure a new heir to the Sirmour throne, two ministers of the Kingdom namely Roymoan and Roy Gopal are said to have travelled all the way from Sirmour to Srinagar, the capital of Kashmir in the eleventh century A.D. The two Sirmour ministers are believed to have requested the then Kashmir King to send a Kashmiri Prince, who could take charge of the Sirmour Kingdom. According to the oral legend, out of the two queens of the then Kashmiri King, one had an adopted son, while the second one named Sumitra was in a family way at that time. In pursuance of the then prevalent bestowal of alms custom, the King of Kashmir agreed to send his pregnant queen in the form of ‘Shaya Daan’ to the princely state of Sirmour. In furtherance of it and to facilitate the subsequent coronation of the Kashmiri Prince as a King of Sirmour, the queen Sumitra of Kashmir went to Sirmour. She was accompanied by a host of Rishis, saints, learned Brahmans, bards, artists and ministrels, in addition to numerous footmen and domestics. The accompanying Kashmiri Pandits are said to have carried with them their prized possession the ‘Sancha’ knowledge system. In the historical documents of Himachal, this notable event is recorded in the following lines “Loia Aana Mangtoo, Purohit Sath Loia Aana Raoy Baat Loia Aana Vikram Samvat Saat thi todi 1152 Mahina Magh.” It fully affirms and supports the historical fact that the carriers of the ‘Sancha’ treatise or knowledge to Himachal Pradesh were none other than the Kashmiri Pandits. Corresponding to the above Vikram Samvat, the exact year of the said event can be said to be 1095 AD. The Kashmiri origin of the ‘Sancha’ treatise is further collaborated by the fact that even today before consulting the ‘Sancha’ text, Himachali Brahmans pay obeisance to Kashmir in the following lines, “Vidhya Suri Kashmiri Lagan dekh Shodan Vichar”. The Sancha Granth has detailed information about astrology, planetary placements, interpretation of Zodiac and planetary movements. Based on the intricate knowledge of ‘Sancha Granth’, the ‘Pabuchi’ scholars prepare a local variation of almanac (Jantri) called ‘Chri’. The three important components of ‘Chri’ are ‘Var’ i.e. day of the week or an occasion, ‘Tithi’ i.e. a lunar day or date and the planetary movements and their positions. The ‘Chiri’ is based on the solar planetary system, which regards Baisakhi as the first day of the New Year. To get solutions, answers and remedies for the different paradoxes that rock the day to day life, the ‘Sancha’ text is always consulted for the required help. Resembling a gambling dice, the ‘pasha’ or ‘pasa’ is employed in deciphering the required information from the ‘Sancha’ text. The ‘pasha’ or ‘pasa’ has an inscription of four numerical digits marked as 0,00,000 and 0000, which have the corresponding numerical strength of 1,2,3 and 4 respectively. These numerical digits are marked on the individual pages separately. Each numerical digit with an individual value of sixteen ‘Horas’ make a sum total of sixty four ‘Horas’, with one ‘Hora’ being equal to one twenty fourth part of a day. The ‘Pashas’ or ‘Pasa’ are specially prepared only on auspicious days and involve elaborate religious rituals. The different ‘Horas’ that are in-vogue in the ‘Sancha Granth’ are known as ‘Kaalgaymi Hora’, ‘Bhoot Prashan Hora’, ‘Lagan Ki Hora’ and ‘Tithi Ki Hora’ etc. The square shaped ‘pasha’ or ‘pasa’ is usually made up of an elephant tooth, being 1½ to 2 inches in length and with the width of a finger. According to a belief in Sirmour area, the ‘Yantra’ and ‘Lagans’ made from the soil brought from the village Chanan, give better results while consulting ‘Sancha’ text. The Brahmans engaged in the ‘Sancha’ profession take every care to maintain the knowledge secrecy and imparting of it’s knowledge is confined only within the family. The Kashmiri origin of the ‘Sancha’ text has also been acknowledged by Sh. Sudershan Vashisht, who is a well known author and researcher of Himachal Pradesh and has done note-worthy research work in this direction. The ancient and precious Sancha texts are also found in tehsil Chopal, tehsil Shilayi and Chakrota area of Uttar Pradesh.Pandit Om Prakash and Pandit Devi Ram, the native Brahmans of the village Khadanka in Sirmour are experts in Sancha knowledge and it’s system. Another Brahman named Pandit Shivanand, a resident of the village Janloag in Sirmour has also thorough knowledge of ‘Sancha’ texts. He makes accurate predictions based on it’s knowledge. Pt. Mohan Lal, a native of the village Dehar in Sirmour is a well-known name due to his thorough and intimate Sancha knowledge. The present day experts of Sancha Vidhya acknowledge their Kashmiri origin and lineage. Undoubtedly, ‘Sancha’ is an ancient and sacred knowledge of Kashmiri origin, which is an integral part of our historical cultural heritage. It is a glorious reminder of our rich past and the proud contribution of Kashmiri Pandits, who have left an indelible mark on the pages of history. This picture sums up the present condition and existence of Kashmiri Pandits in Kashmir. One can find many abondoned houses of Kashmiri pandit’s (KP) in Kashmir. The rusted lock is a proof that the KP had never thought that it would take him so long to return. 28 years has already passed. God knows, how many more years, the lock will have to wait….